Everyone! My parents are coming! To San Francisco! They’re on their way here right now. I’m a little bit excited. I haven’t seen them in over two months, you see, which for us is a pretty longish time. Mom and Dad! Winging out from Philadelphia! I’ve been too excited (frantic? I’ve spent all of my free time cleaning like a mad lady – Ben loves this about me, I swear) to cook or bake much, but I did throw this lavender blackberry syrup together, and I’m excited (can you tell I’m excited?) to serve it with ice and soda water when my parents arrive. And gin? Definitely gin. Or mixed into some lemonade. Or with hot water to make tea. Over vanilla ice cream? Poured on hot pancakes? A sweet and pinkish-purply glaze for thick slices of pound cake? You see where I’m going here. 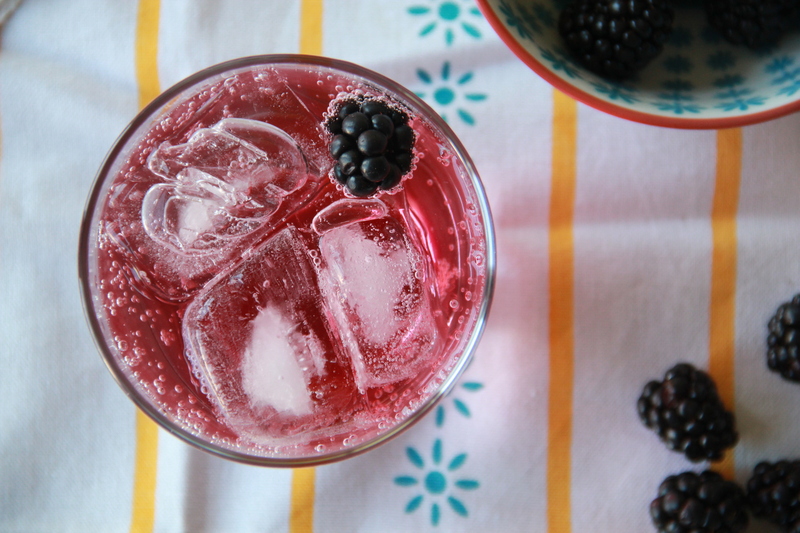 Lavender blackberry syrup: to infinity and beyond (to impress my visiting parents). Get excited! The best part of this syrup is its swap-ability. Don’t like blackberries? Try chopped strawberries, instead. 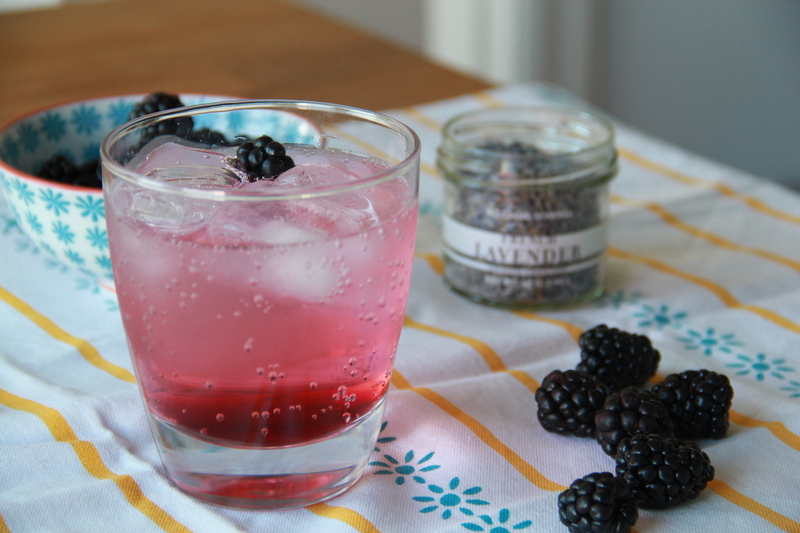 Can’t get your hands on culinary lavender? Use a bunch of fresh mint or thyme. Creativity dot com. Once cool, spoon a few tablespoons syrup into a tall glass with ice, and fill the rest of the glass with soda water (and maybe a splash of gin? Shh, it’s fine). Garnish with a blackberry or two. Sip, smile, repeat. have THE BEST TIME with Andi and Bruce! Will be thinking about you! oh – looks pretty yummy by the way…….vodka???? So pretty and refreshing! The syrup looks great, too!